1.1. DECOR CRAFTER is a proprietorship firm, with its office at INDRAPURAM COLONY,AGRA,India. INLAY MARBLE CRAFTS is a marketplace where sellers and buyers connect both online and offline to create, sell and buy unique handmade creations. As such, INLAY MARBLE CRAFTS provides a platform for users who are sellers to list, exhibit, and advertise their Products (defined below) to other users who are buyers; platform for such other users to make an offer to purchase the Products listed, exhibited, advertised by the sellers on the Website and make payment to the sellers for purchase; and services to facilitate the engagement of buyers and sellers to enable them to do commerce on the Website. 2.1. "Services" means any of the services we offer on the Website as a marketplace and include generally available updates and support services so far as specified for each service, any incidental and ancillary services thereto. 2.2. "Content" means any material in any form published on the Website by us. This also includes user content such as data, images, and information etc. which you or any third party may post on the Website. 2.3. "Material" or “Product” means any postings or listing of any sort posted or published by you on the Website. 3.2. 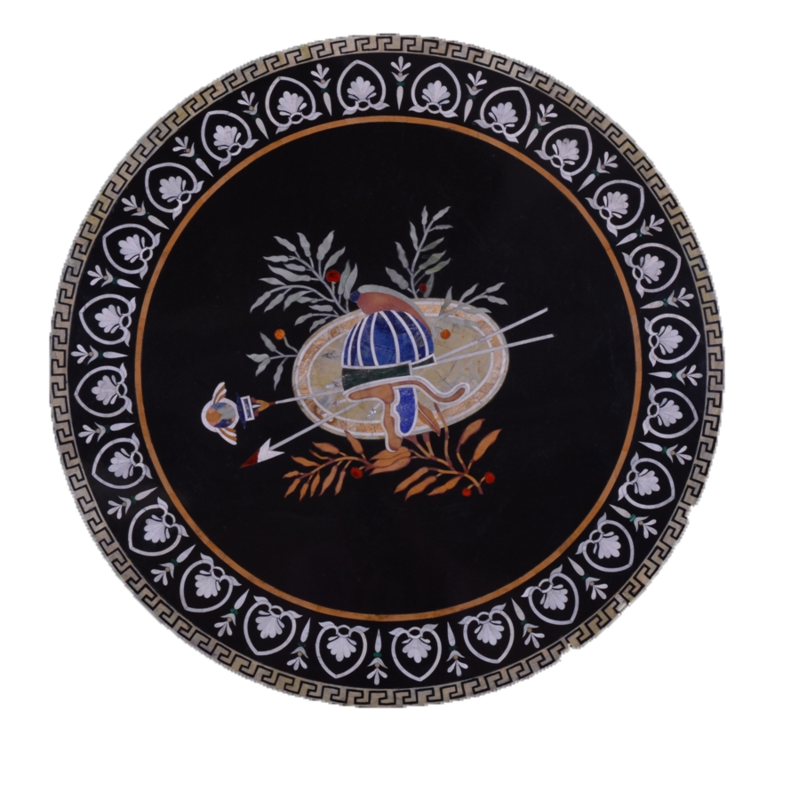 INLAY MARBLE CRAFTS reserves the right to refuse access to use the Services offered at the Website to new users or to terminate access granted to existing users at any time without according any reasons for doing so. 4.1. These terms and conditions apply so far as the context allows, to you as a visitor to the Website; and in any event to you as a registered or guest user, seller, buyer or prospective buyer who is offering to purchase Material or Product listed by the seller. 4.2. Seller shall accept your offer to purchase Material or Product by e-mail or any other electronic communication. That is when the contract will be made between buyer and seller. Such e-mail or any other electronic communication will also include details of your purchase and the details pertaining to dispatch of your order. 4.3. Unfortunately, we cannot guarantee that every Service advertised on the Website is available. If at any time a Service becomes unavailable, we will proportionately refund any money you have paid. Our refund will cover the period of unavailability and not any period for which Services have been available. 4.4. We may change these terms from time to time. The terms that apply to you are those appearing on the Website on the day you order Services. 4.5. If in future, you buy Services from us under any arrangement which does not involve your payment via the Website; these terms still apply so far as they can be applied. 4.6. You agree, understand and acknowledge that the Website is an electronic platform in the form of an electronic marketplace and an intermediary. You further agree and acknowledge that INLAY MARBLE CRAFTS is only a facilitator and is not and cannot be a party to or control in any manner any advertisement, exhibition, listing, or transactions of sale or purchase of Products on the Website. INLAY MARBLE CRAFTS is not the seller of the Products. Accordingly, any contract for the sale / purchase of Products o n the Website is a bipartite contract between you (as buyer) and the sellers or you (as seller) and the buyer. INLAY MARBLE CRAFTS neither recommends you to buy or sell any Products on the Website nor does INLAY MARBLE CRAFTS endorses any such Products and nor does INLAY MARBLE CRAFTS provides any guarantee, warranties or assurance with respect to the advertisement, exhibition, listing or transactions of sale or purchase of Products on the Website. 5.1. You agree that you have provided, and will continue to provide accurate, up to date, and complete information about yourself. We need this information to provide you with the Services. 5.2. If you use the Website, you are responsible for maintaining the confidentialit y of your account and password and for preventing any unauthorised access. You agree to accept responsibility for all the activities that occur with your password. 5.3. In the event that the confidentiality of your password is compromised in any manner, you will notify us immediately. We reserve the right to take any and all action, as it deems necessary or reasonable, to ensure the security of the Website and the Service, including without limitation, terminating your access, changing your password or requesting information to authorize use of the Service. 5.4. Notwithstanding the above, we may rely on the authority of anyone accessing the Service using your password and in no event we will be held liable to you for any liabilities or damages resulting from or arising out of: (a) any action or inaction of us under this provision, (b) any compromise of the confidentiality of your password, or (c) any unauthorized access to or use of your password. 5.5. We reserve the right to refuse you access to the Website. 6.1. It is possible that the price of the Material or Product may have increased from that posted on the Website. If that happens, seller will not provide the Material or Product until you have confirmed that you wish to order at the new price. Our Service charges or fees are also subject to change from time to time. 6.2. You agree to pay using one of the online payment methods, pre-paid instrument or cash on delivery as made available to you on Website. You agree to provide correct and accurate financial information, such as credit/debit card details to the approved paymen t gateway or pre-paid payment instrument account details for availing Services on the Website. You shall not use the credit/debit card or pre-paid payment instrument which is not lawfully owned by you. You must use your own credit/debit card or pre-paid instrument account. You will be solely responsible for the security and confidentiality of your credit/debit card details or pre-paid instrument account. INLAY MARBLE CRAFTS expressly disclaims all liabilities that may arise as a consequence of any unauthorized use of your credit/ debit card or pre-paid instrument account. 6.3. Unless stated otherwise, payments are non-refundable. 6.4. We may change the nature or provision of the Services at any time. We may tell you about any such change by email or by posting details on the Website or through any electronic communication. 6.5. If we change the nature or provision of the Services, you may opt to terminate this contract. 6.6. If a change we make in the provision of the Services, involves action on your part, and you do not take that action within stipulated time, the same will be assumed as “deemed accepted” from your side. 6.7. You may not share or allow others to use the Services in your name. 6.8. We will do our best to maintain the Website so that you have constant use, but there will be times when your use may be interrupted. Interruption to the Services for reasonable periods for maintenance or causes beyond our control is not a ground for repayment of money you have paid. When we are aware of the likelihood of down time, we will tell you in advance. 7.1. We or our Content suppliers may make improvements or changes to the Website, the Content, or to any of the Services, at any time and without advance notice. 7.2. You are advised that Content may include technical inaccuracies or typographical errors. 7.3.1. YOUR USE OF THE SERVICE IS AT YOUR SOLE RISK. THE SERVICE IS PROVIDED ON AN "AS IS" AND "AS AVAILABLE" BASIS. WE EXPRESSLY DISCLAIM ALL WARRANTIES OR CLAIMS OF ANY KIND, WHETHER EXPRESS OR IMPLIED, INCLUDING, BUT NOT LIMITED TO THE IMPLIED WARRANTIES OF MERCHANTABILITY, FITNESS FOR A PARTICULAR PURPOSE AND NONINFRINGEMENT. 7.3.2. ANY MATERIAL DOWNLOADED OR OTHERWISE OBTAINED THROUGH INLAY MARBLE CRAFTS OR ACCESS TO INLAY MARBLE CRAFTS IS DONE AT YOUR OWN DISCRETION AND RISK AND THAT YOU WILL BE SOLELY RESPONSIBLE FOR ANY DAMAGE TO YOUR COMPUTER SYSTEM OR LOSS OF DATA THAT RESULTS FROM THE DOWNLOAD OF ANY SUCH MATERIAL OR ACCESS TO INLAY MARBLE CRAFTS. 7.4.1. The adequacy or appropriateness of the Services for your purpose. 7.4.4. Compatibility of the Website with your equipment, software or telecommunications connection. 7.5. The Website contains links to other Internet websites outside our power and control. You acknowledge and agree that we shall not be liable in any way for the Content of any such linked website, nor for any loss or damage arising from your use of any such website. YOU UNDERSTAND AND AGREE THAT WE SHALL NOT BE LIABLE TO YOU FOR ANY DIRECT, INDIRECT, INCIDENTAL, SPECIAL, CONSEQUENTIAL OR EXEMPLARY DAMAGES, INCLUDING BUT NOT LIMITED TO, DAMAGES FOR LOSS OF PROFITS, GOODWILL, USE, DATA OR OTHER INTANGIBLE LOSSES (EVEN IF WE HAVE BEEN ADVISED OF THE POSSIBILITY OF SUCH DAMAGES), RESULTING FROM: (i) THE USE OR THE INABILITY TO USE THE SERVICE INCLUDING INLAY MARBLE CRAFTS; (ii) UNAUTHORIZED ACCESS TO OR ALTERATION OF YOUR INFORMATION OR DATA; OR (iii) ANY OTHER MATTER RELATING TO THE SERVICE. 9.1. All the rights, title and interest in the 'intellectual property' in the Services and INLAY MARBLE CRAFTS shall always be owned by us or our licensors. 9.2. We will defend the intellectual property rights in connection with our Services and the Website, including copyright in the Content whether provided by us or by any other content provider (including copyright in: text, graphics, logos, icons, images, audio clips, digital downloads, data, and software). 9.3. We also claim copyright in the designs and compilation of all Content of the Website. Title, ownership rights, and shall remain the sole property of us and / or the other content provider. We will strongly protect those rights in all countries. 9.5. Content Removal. It is our policy to respond to notices of alleged infringement that comply with the respective intellectual property rights protection acts. You agree to comply with the applicable laws or other appropriate process for the removal of content deemed to infringe the rights of third parties. 9.6. Except as set out below, you may not copy, modify, publish, transmit, transfer or sell, reproduce, create derivative works from, distribute, perform, display, or in any way exploit any of the Content, in whole or in part. 9.7. You may not use our name or logos or trademarks or any other Content on any website of yours or that of any other person. 9.8. Subject to the other terms of this agreement, you may download or copy Content only for your own use, provided that you maintain all copyright and other notices contained in it. You may not store electronically any significant portion of any Content. 10.1. You represent that any username or email address selected by you, when used alone or combined with a second or third level domain name, does not interfere with the rights of any third party and has not been selected for any unlawful purpose. 10.2. You acknowledge and agree that if we believe such selection does interfere with the rights of any third party or is being selected for any unlawful purpose, we may immediately suspend the use of such name or email address, and you will indemnify us for any claim or demand that arises out of your selection. 10.3. You acknowledge and agree that we shall not be liable to you in the event that we are ordered or required by a court or judicial authority, to desist from using or permitting the use of a particular domain name as part of a name or email address. 10.5. The user hereby understands, agrees and acknowledges that the payments between the users through any mode of payment including by way of credit card, debit card, internet banking or prepaid cash cards or other prepaid payment instruments are either processed through third party payment gateways or require authorization by the intermediary which process payments. The processing of payments or authorization is solely in accordance with their policies, terms and conditions and we are not in any manner responsible or liable to you or any third party for any delay or failure at their end in processing the payments. 11.1. If you post any Material in the Website, you warrant that you own the copyright in it and you accept all risk and responsibility for it. You grant to us the right to edit, copy, publish, distribute, translate and otherwise use it in any medium and for any purpose. 11.2. You agree that if you do post any Material on the Website, in doing so, you grant to us a non-exclusive, irrevocable, royalty-free, right in perpetuity to use that Material in any way whatever, throughout the World in any medium. You agree to waive your right to be identified as the author and your right to object to derogatory treatment of your Material. 11.3. You agree to perform all further acts necessary to perfect any of the above rights granted by you to us, including the execution of deeds and documents, at our request. 12.1. You agree that you will not, and will not allow any other person to violate or attempt to violate any aspect of the security of the Website. 12.2. You may not use any software tool for the purpose of extracting data from the Website. 12.3. You understand that any such violation is unlawful in many jurisdictions and that any contravention of law may result in criminal prosecution. 13.1.8. Any Material promoting discrimination or animosity to any person on grounds of gender, race or colour. 13.2.7. The emailing of age inappropriate communications or content to anyone under the age of 18. 13.3.15. violate the terms of the Agreement. 15.4.5. You engage in any action that reflects poorly on us or otherwise disparages or devalues our reputation or goodwill. 15.7. You acknowledge that your breach of service/license restrictions contained herein may cause irreparable harm to us, the extent of which would be difficult to ascertain. Accordingly, you agree that, in addition to any other remedies to which we may be legally entitled, we shall have the right to seek immediate injunctive relief in the event of a b reach of such sections by you. 16.2. No Partnership: No arrangement between the users and INLAY MARBLE CRAFTS shall constitute or be deemed to constitute an agency, partnership, joint venture or the like between the users and INLAY MARBLE CRAFTS. 16.3. Jurisdiction. This Agreement and the relationship between you and us shall be governed by the laws of India and you agree to be bound by the exclusive jurisdiction of courts at Agra, UTTAR-PRADESH, India. 16.7. When you use the Website or send emails or other data, information or communication to INLAY MARBLE CRAFTS, you agree and understand that you are communicating with INLAY MARBLE CRAFTS through electronic records and you consent to receive communications via electronic records from INLAY MARBLE CRAFTS periodically and as and when required. INLAY MARBLE CRAFTS will communicate with you by email or by notices on Website or electronic records on the Website or on your mobile number which will be deemed adequate service of notice / electronic record to the maximum extent permitted under any applicable law.